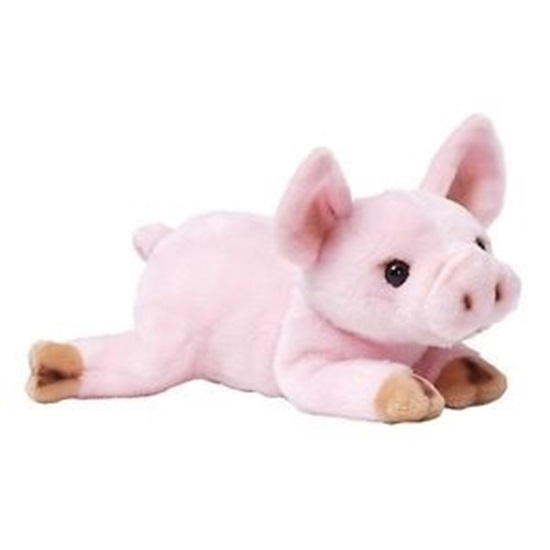 This super soft plush pig is perfect for snuggling..
Made with ultra soft all new materials your child is going to just love snuggling up with this plush beanbag toy. This super soft extra cute little pink pig has an extended piggy snout with stitched facial details with plastic button eyes. Her small 8" size makes her perfect for small hands to grasp and to take anywhere your little one goes. She is surface washable and good for ages 7 and up.